THE PERFECT COMPLIMENT FOR ANY NEW OR SEASONED RUNNER!! This 5 week intensive was created as a way to to help runners cross train and prevent injury. Our Runner's Series combines our Pilates based Barre exercises with yoga stretching and rehab to focus on areas that can help improve endurance, strength and stability to help prevent injuries - placing emphasis on areas of the body runners have a tendency to neglect! There is no better time than now to take control and put your life and the lives of your loved ones, first. 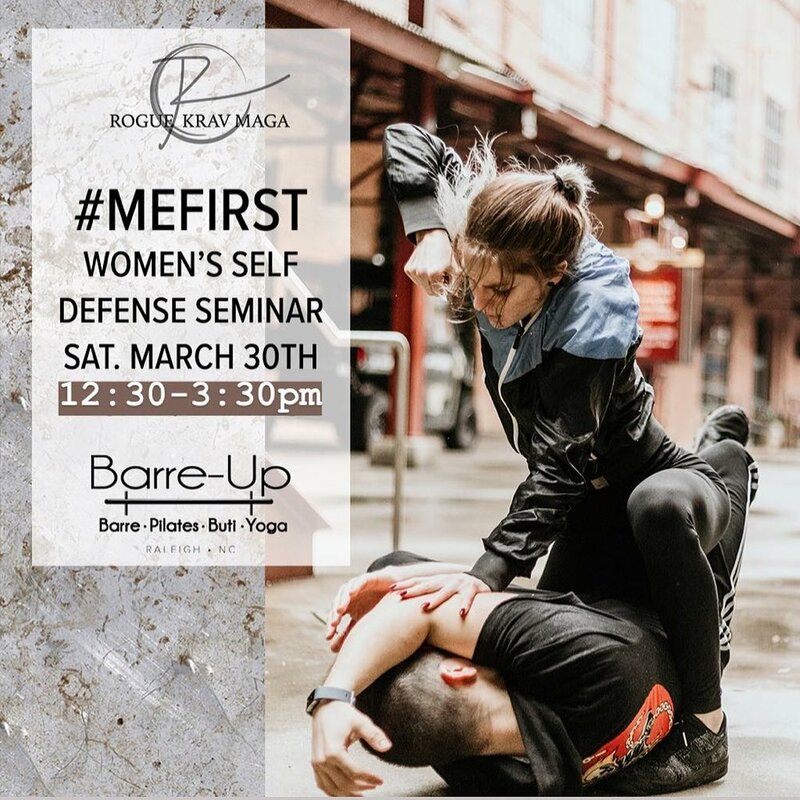 The #MeFirst program is designed to equip and empower women of the 21st century with a practical approach to self-defense. Women are disproportionally targeted and taken advantage of by predators, and sadly, women are more likely to know their assailant than not. This creates more emotional and psychological barriers to overcome before you take action. #MeFirst is designed to equip you with tools to help you navigate those grey areas and put your safety first. This in-depth experience breaks down buti yoga movements + poses, demonstrating their objective and ideal alignment. Whether you're new or seasoned to Buti, there is much to be gained from this workshop! THANKS TO ALL WHO PARTICIPATED IN THE 12 DAYS of BARRE-UP CHALLENGE!